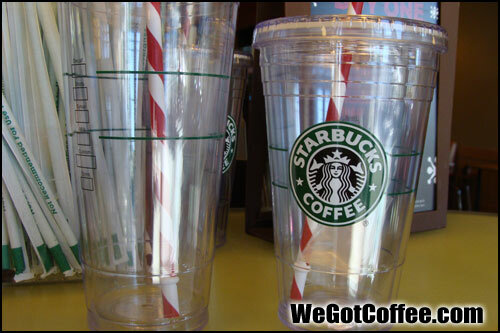 The Starbucks cold drink tumbler with the candy cane straw. Seen in a Starbucks during the 2010 holiday coffee season. These look like the thin plastic disposable cups, but is made from hard plastic. Reusable AND festive!